In industrial environments, capturing reality safely and reliably requires much more than just a vision. 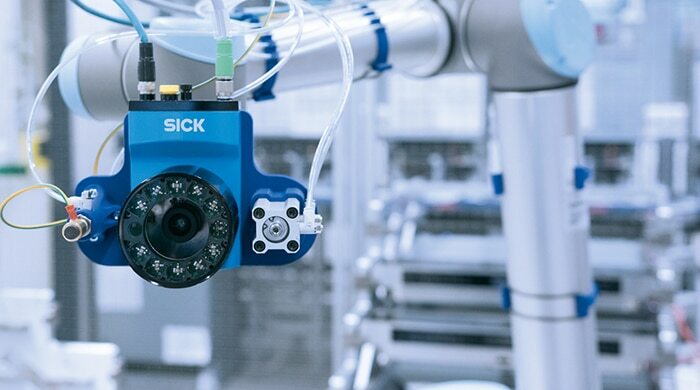 SICK offers a broad spectrum of vision sensors, starting with compact devices that are easy to integrate, through configurable stand-alone solutions, and beyond to programmable high-speed cameras for the most demanding of requirements. New solutions from both established SICK modules and integrable functions from various image processing libraries provide the perfect match for customers’ requirements and are compatible with tasks in the context of Industry 4.0. Such tasks include quality control, track and trace, object data capture, and predictive maintenance, for example. Mastery of not just a single technology but a broad portfolio of technologies designed with efficiency in mind provides the basis on which we are developing the right solutions for our customers’ specific requirements and individual circumstances. 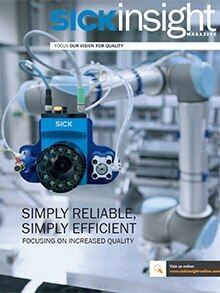 With SICK you have the choice: configurable sensors, programmable cameras, streaming cameras. Sensor app allows for precision repeatability of robot arm positions during automated test cycles in the test labs at BSH Hausgeräte GmbH. Measuring, monitoring, positioning, regulating: Our intelligent measurement technology offers more quality and efficiency – at each process step. The new FLOWSIC600-XT gas flow meter conquers the demands of precision custody transfer measurement of natural gas.